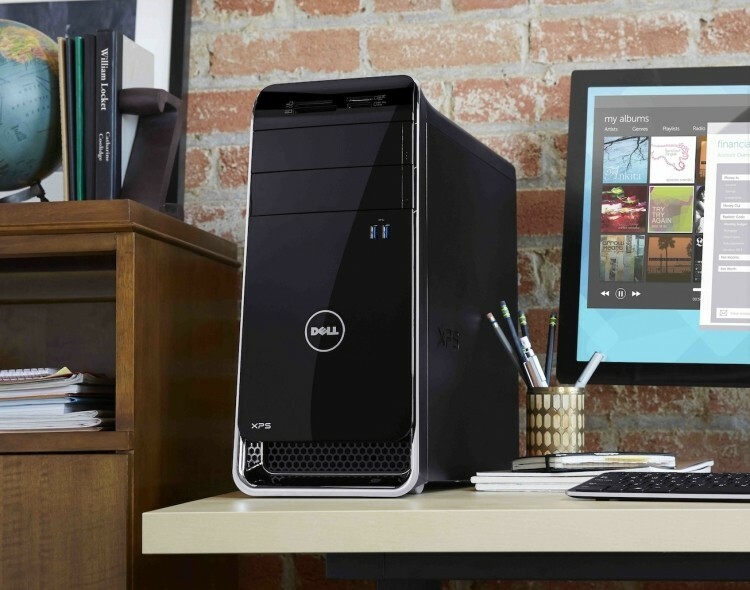 Topping the charts is an unheard of bundle from Dell, offering a fully-loaded Haswell-powered desktop with a premium 27" WQHD monitor for only $1299. We also found a quad-core thin & light laptop from HP for just $425. Don't miss a discount on the brand new 802.11ac high performance Linksys EA6700 router either. Scroll down to get these and the rest of today's best deals. 79 Dell XPS 8700 Core i7 "Haswell" Desktop + 27" UltraSharp Monitor for $1,299.98 with free shipping (normally $1,949.98 - use coupon code QT670VSKRD$N1P | via Dell). HP Pavilion TouchSmart 14z-f000 AMD A4 Quad-core Sleekbook for $425.99 with $9.99 shipping (normally $479.99 - use coupon code SVD8492 | via HP). Linksys EA6700 HD Video Pro AC1750 Smart WiFi Wireless Router for $199.49 with free shipping (normally $229.99 - use coupon code HSBTS5 ). Today only! Newegg's Coupon: $25 off orders over $250 with any SSD purchase (use coupon code SAVE25SSDSEP26F ). Seagate GoFlex 1TB Thunderbolt Portable Hard Drive for Mac for $144.95 with free shipping (normally $199.00 - use coupon code DIG5 | via BuyDig). Dell E2414H 24" 1080p LED-backlit LCD Monitor + Free $100 Gift Card for $180.99 with free shipping (normally $330.99 | via Dell). 65" Toshiba 65L9300U 4K UltraHD 3D Smart LED TV + Premium Soundbar for $5,491.99 with free shipping (normally $6,500 - use coupon code DIG5 | via BuyDig). 71 Dell 23" Inspiron One 2330 Dual-core 1080p All-in-one PC w/ Windows 7 Professional for $599.99 with free shipping (normally $749.99 - use coupon code 88KSR26X$74PFT ). 85 Alienware 18 "Haswell" Core i7 1080p Gaming Laptop w/ Dual 2GB GeForce GTX 765M SLI for $2,049 with free shipping. ZAGGwipes Antibacterial (15 wipes) for $4.99 with free shipping.